A complete guide to the 6 best rooftop bars in Palma in 2019. 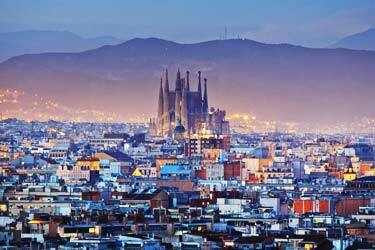 So, which is the best rooftop bar in Palma? Here you'll find the best Palma rooftop bars with all info you need about each rooftop. Opening hours, dress code, pictures, maps and much more. 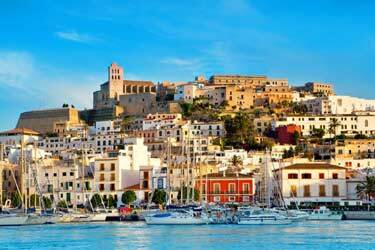 Palma de Mallorca is a true Mediterranean gem and one of the best “paradises” in Europe. Clear blue water, party and cozy restaurants. This also applies to the city’s rooftops. Most of them are smaller and with a genuine and cozy décor. The views are often of the city and ocean. 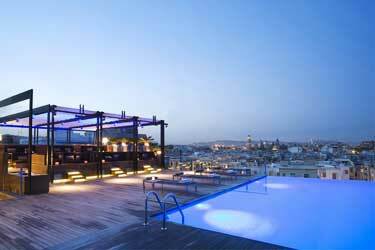 Just scroll down and find the Palma rooftop bar best suited for you. Or use the Palma rooftop map in the bottom right corner. 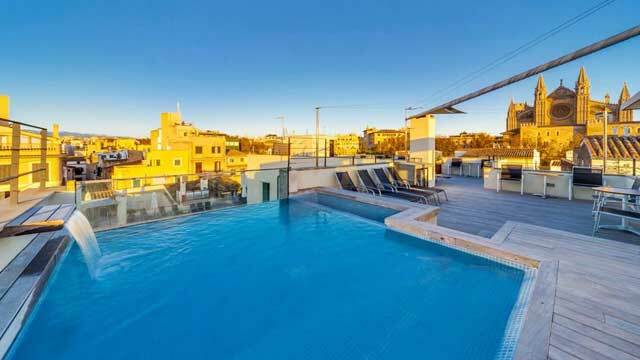 Located in the heart of Palma, the amazing Boutique Hotel Can Alomar comes with a dual rooftop setting. On top of the hotel you find the Solarium Terrace, a rooftop spa with rooftop swimming pool and a jacuzzi, exclusive to hotel guests. On the 2nd floor there is restaurant called De Tokio a Lima Restaurant, open for all and equipped with two lovely terraces. Here you can enjoy a fantastic fusion of Asian and South American food along with very nice cocktails. A cocktail and rooftop bar perched on top of the Hotel Hostal Cuba, located right by the Sa Feixina Park. From the modern and beautiful terrace you’ll get a great view over the Meditteranean, marina, cathedral and the city of Palma. Open year round for breakfast (included if you stay at the hotel, €20 for outside guests), the Sky Bar is mostly famous for its delicious cocktails that you can enjoy night time. Choose between a wide selection of classics and some sparkling wine cocktails, all crafted to perfection. Situated on the roof of the stunning Sant Francesc Hotel Singular, this terrace goes by many epithets: rooftop bar, pool bar and sushi bar. 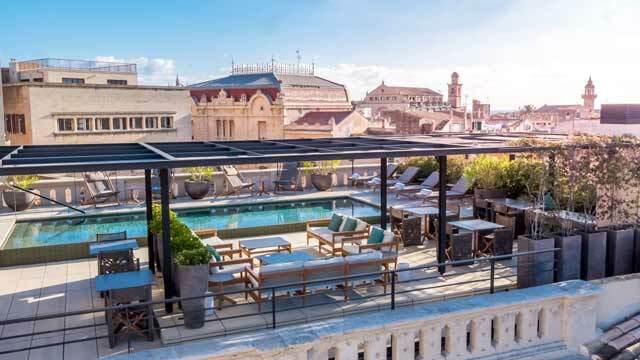 Equipped with a beautiful rooftop swimming pool, stylish lounge furniture and a panoramic view of Palma's old neighborhoods, the rooftop is exclusive to guests at the hotel during daytime, but by summer nights everyone is welcome to visit. 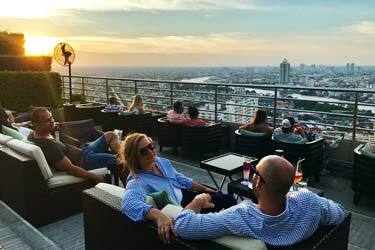 The rooftop bar offers delicious cocktail, a large selection of wine and champagne along with a nice selection of sushi. 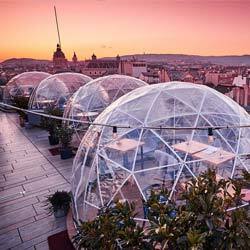 Purohotel Palma is an urban oasis, and the contemporary style of the hotel also continue in its bar and restaurant, and all the way up to the rooftop. Blending together, the indoor parts of the Purohotel Bar & Restaurant is open year round, while the cool, multi-level rooftop terrace is a summer destination, offering awesome views over the rooftops in old town Palma. Modern, cosmopolitan, fresh and quite unique in decor, the rooftop bar serves creative and tasty dishes and cocktails, great music and a vibrant atmosphere. 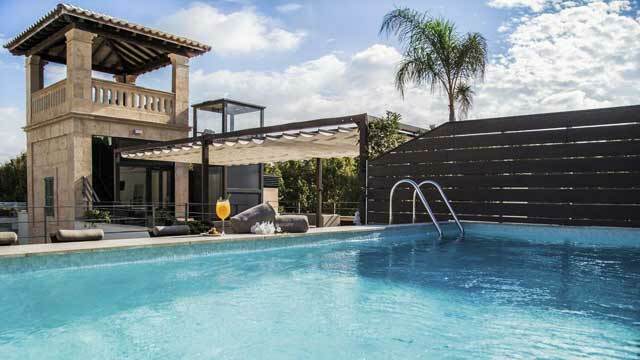 Situated right next to the La Seu Cathedral, the Palacio Ca Sa Galesa comes with a fantastic rooftop terrace that is perfect for long and sunny hours of relaxation. 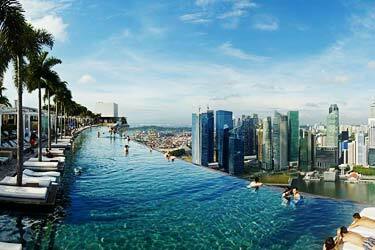 Equipped with a small rooftop pool, cosy sun lounger and cabanas, the rooftop also offers a magical view of the city and the sea. Only for guests staying at the hotel, harmonious and natural in setting, there are also luxurious details, like multimedia towers in all of the cabanas. 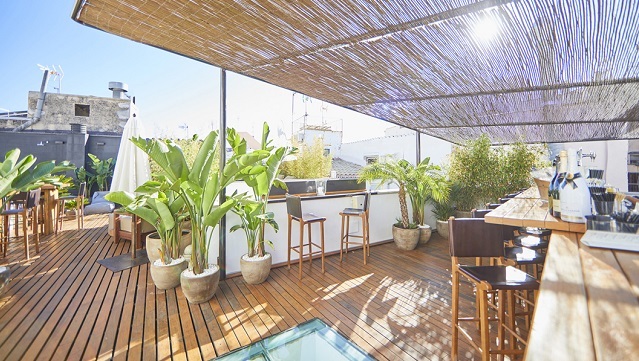 The lovely boutique Hotel Tres offers a real rooftop oasis, right in the heart of Palma. 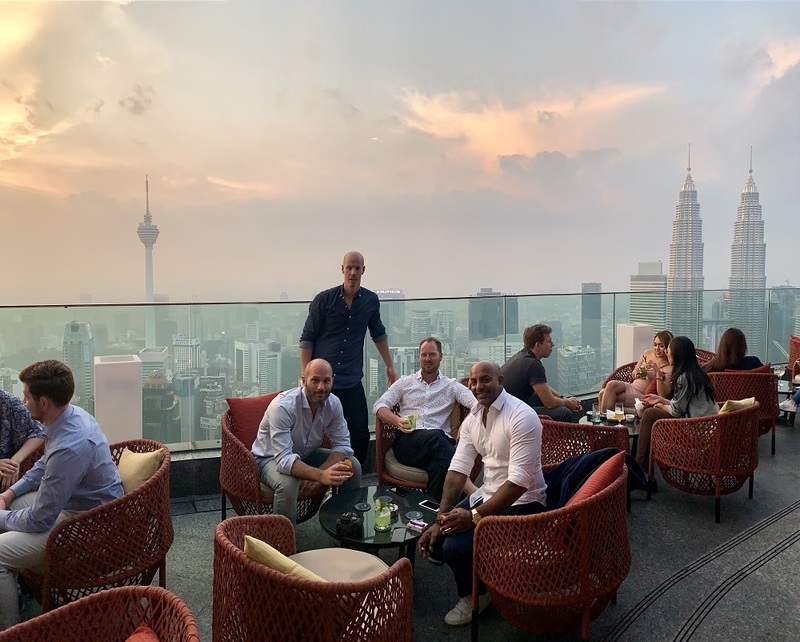 Equipped with a small but fantastic rooftop pool, sun loungers and regular chairs, the terrace is a perfect spot for both long and relaxing summer days and summer nights. Exclusive to hotel guests, the rooftop bar offers a wide range of refreshing drinks along with panoramic views over the cathedral, the ocean and all the Palma rooftops. Discover the biggest collection of Palma activities, guided tours and skip-the-line tickets. Anything you want you'll find right here. 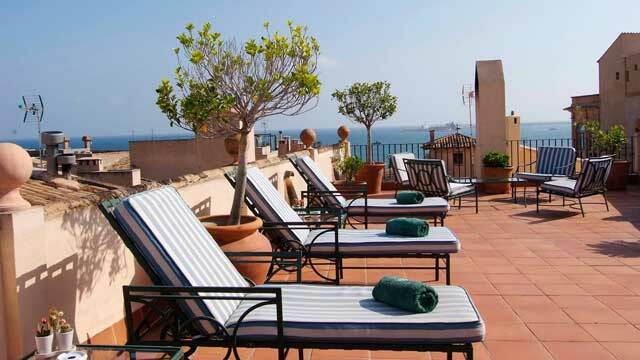 Which are the best rooftops in Palma? This complete guide will help you find the best rooftop bars in Palma. The climate is warm all year round, which means that the rooftop bars in Palma are open all year. The terraces often have magnificent views of the ocean or the city of Palma. 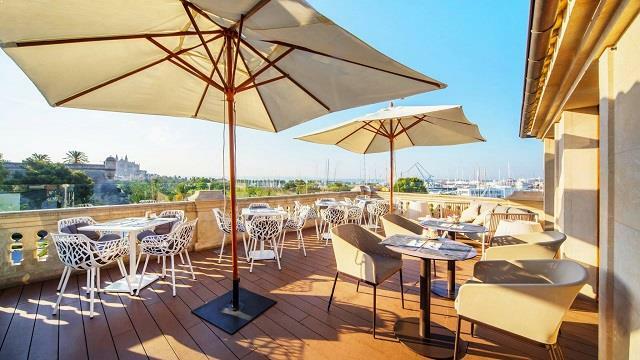 If you want to get the most out of your visit at one of the terrace bars in Palma, you should eat tapas and enjoy a drink watching the sunset. Palma is located on the southwest coast of Mallorca. 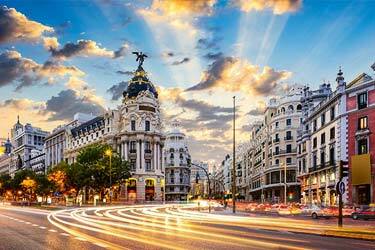 The city's prime business is tourism. Every year there are lots of tourists coming to relax in the sun and enjoy the nice views and good food. 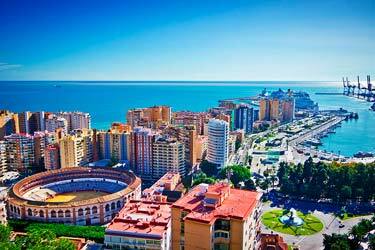 Palma is also a great restaurant-town with a wide range of genuine and great tapas places. The harbor is one of Palma's main attractions.